A relatively new trend in the lighting industry is the use of LED (Light Emitting Diode) technology to produce the most energy efficient lighting solutions. Typically, LED light bulbs last up to 25 times longer than the incandescent bulbs and use about 75% less energy. Multifaceted reflector (MR) bulbs are a type of LED light bulbs with a casing that is designed to enhance the bulb’s light output. Multi facet means the bulbs have several facets that use highly reflective materials to enhance the bulbs’ brightness using less energy. Perhaps one of the reasons behind these bulbs’ longer lifespan is that they are made with a halogen filament capsule. The filaments used in the traditional incandescent bulbs burn out faster, shortening the life of the bulb. Multi faceted reflector light bulbs are available in different sizes, with the MR11 LED bulbs and the MR16 made for general lighting and the MR8 and the MR20 for specialty lighting. The number indicates the diameter of the bulb in eighths. The MR11 therefore means that the light bulb is 11 eighths in diameter, which translates to 1.375 inches. 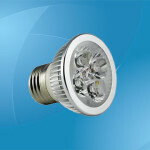 The MR11 LED bulbs are made with GU4 style connection pins. These are similar to G4 pins with a distance of 4mm between individual pins. The bulbs have a pressed glass reflector, which controls the direction of the light reflection. The reflector also aids in spreading the light in different directions. The design of the bulbs also influences the angle in which the light is reflected. Multi faceted reflector bulbs are therefore suitable for a range of applications in home and commercial lighting that requires directional lighting such as landscape lighting, desk lamps, track lighting, retail display lighting, bicycle headlights among others. Replacing the traditional incandescent bulbs with MR11 LED bulbs is easy. The LED bulbs are made to replace the older bulbs directly. However, it is important to ensure the physical dimensions of both types and the base fitting is the same. 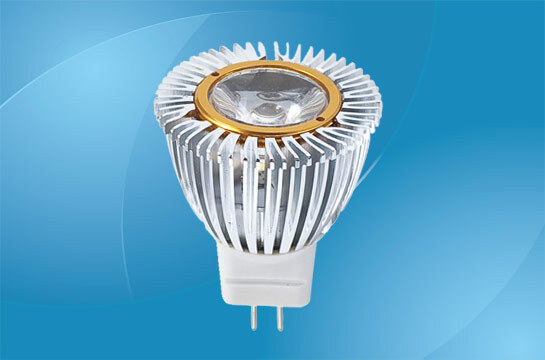 The benefits of using MR11 LED bulbs are numerous. Although the initial investment is higher than the traditional incandescent bulbs, the LED bulbs offer much higher cost savings. This is because the bulbs are energy efficient and last much longer. LED bulbs use less than two watts of energy and keep working for years, which translates to lower electricity bills and less need for replacements. While the traditional incandescent bulbs last about 2,000 hours, LED bulbs can last up to 30,000 hours. The most savings are made when these bulbs are used over a ten year period and above. These bulbs are widely available for purchase. Apart from saving money, MR11 LED bulbs are also environmentally friendly. The bulbs use less energy. This means less electricity is generated and less fuel is used to generate it. This helps to reduce the emission of greenhouse gases into the environment. Unlike some types of bulbs that have mercury components and other potentially harmful chemicals, LED bulbs are made with materials that do not contain harmful substances. This also means disposal of the LED is safer once the bulbs are no longer useable.